Here at Ice Moon Prison, we like a good laugh. So we ventured out last night, using the tiny-but-cute Flagstaff Railway Station to see Sean M. Elliott‘s one-hour stand-up routine Rough Science: LIFE. 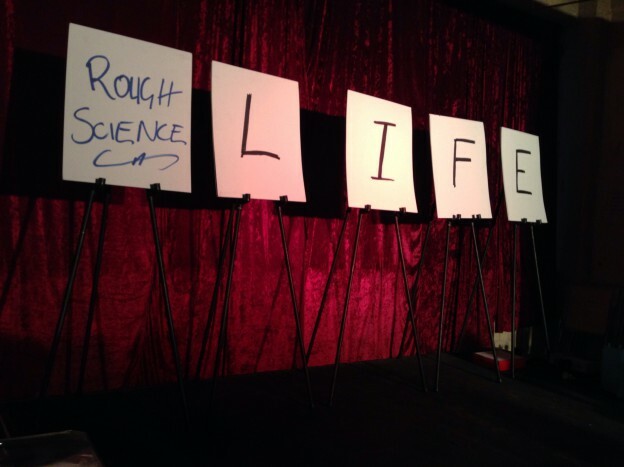 Rough Science: LIFE is a one-man standup-science routine that covers the topic of the origin of life. Its four acts cover the story of the dawn of palaeontology, Robert Hooke‘s adventures with microscopy, the making of primordial soup, and a final unifying act which is perhaps best experienced in person for its sheer wonder. No harm was done to this precious ammonite fossil. Maybe a little harm. Opening night was an intimate gathering of about 15 audience members, at least two of which were (willingly) pulled up on stage to participate in demonstrations. Demonstrations were made with household items, some of them used in novel ways. 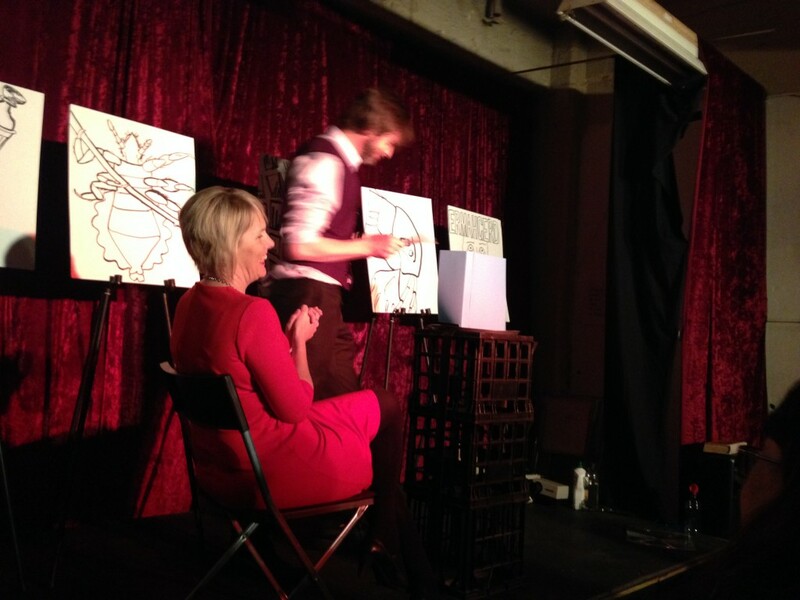 Sean even managed to sneak a magic trick in, though that is Against The Rules Of Science. A few of the props were uncooperative, but Sean rolled with it and made it look like it was genuinely part of the show. Sean makes a strawberry, detergent and methylated spirits daiquiri for Dr_Mel_Thomson (who had a “Pick Me!” badge, so this was entirely deserved). This is an accessible, lighthearted show that should appeal to anyone—kids included—with a passion for learning. 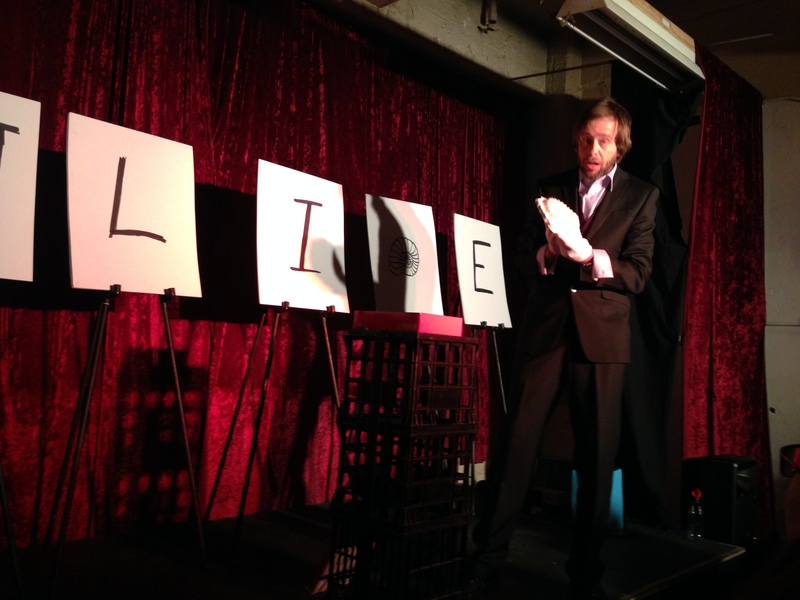 Rough Science: LIFE runs from September 18 to September 20, 2014 at Tuxedo Cat in Melbourne. This entry was posted in Review on September 19, 2014 by admin.